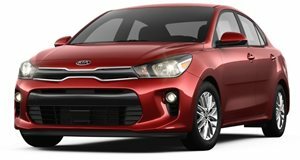 In addition to the all-new Picanto, the Korean automaker Kia took one more step towards transforming the brand&apos;s range with the unveiling of the new Rio supermini. The Rio is based on the same group platform as the Hyundai i20 and at its revelation in Geneva Motor Show, the Rio showed off its new design courtesy of design chief Peter Schreyer. The exterior features prominent headlamps, aggressive lower air vents, and a new &apos;pinched&apos; look for the grille. The Rio has also grown in length, width, and wheelbase to boost interior space and on-road stability. Inside, the interior has undergone a quality upgrade thanks to the company&apos;s west coast US studio. The full engine lineup hasn&apos;t been announced yet in detail, but it is set to feature engines new to the Rio since the current engine lineup isn&apos;t EU5 compliant.